Oliver Widmer was born in 1965 in Zürich, Switzerland. He began his vocal studies at the Music Academy in Basel under his father, Kurt Widmer, with whom he still works closely. In addition to his studies in Basel he also participated in Dietrich Fischer-Dieskau's masterclasses between 1986 and 1989 in Berlin at the Academy of Art. Among other international prizes he has won the ARD Competition Munich, the International Hugo Wolf Competition Stuttgart and the Othmar Schoeck Competition in Lucerne. Mr Widmer is a regular guest at many international festivals, including Salzburg, the Festival de Musique de Strasbourg and the Wiener Festwochen. He has given concerts in the Vienna Musikverein, San Francisco’s Symphony Hall, the Leipzig Gewandhaus and London’s Barbican. His busy schedule includes many Lieder recitals both in Europe and overseas, with appearances at the Hohenems Schubertiade, Wigmore Hall in London, the Louvre and Musée d'Orsay in Paris, the Leipzig Gewandhaus, the Residenz in Munich, the Alte Oper Frankfurt, the Vienna Konzerthaus and the Aldeburgh Festival. Other engagements have included Schumann's Genoveva in Vienna and Graz, Bach's St Matthew Passion in Salzburg and Munich, Mendelssohn's Walpurgisnacht with the Berlin Philharmonic under Harnoncourt, performances of Bach's Christmas Oratorio with the Pittsburgh Symphony Orchestra, the Brahms Requiem both with the Danish Radio under Ulf Schirmer and in Lisbon, and a performance of Goldschmidt's Les petits adieux at the International Festival of Music in Lucerne. In the early 90s Oliver Widmer became a full member of the Zürich Opera House. At the Teatro Bellini in Catania he sang Korngold's Die tote Stadt and at the Festival in Salzburg he performed in Monteverdi's L'Incornazione di Poppea. He also recently appeared in Heinz Holliger’s opera‚ `Schneewittchen’, which was highly acclaimed by the audience and the press. 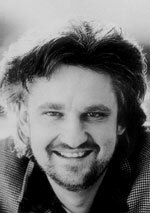 In February 2000 Oliver Widmer sang Guglielmo with great success in a new production of Cosi fan tutte under Nikolaus Harnoncourt at the Zürich Opera House.